called on Chinese State Councilor Yang Jiechi at the start of her three-day visit to China. 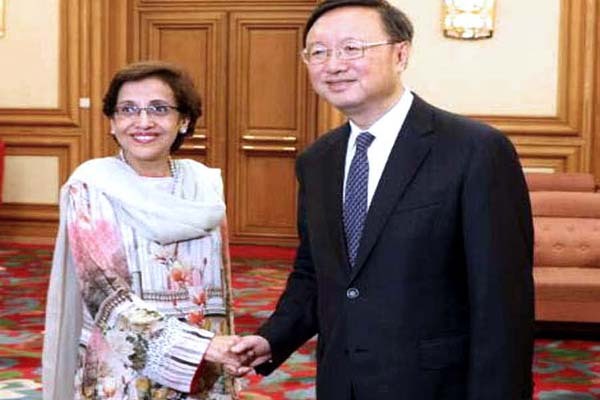 with China is the cornerstone of Pakistan’s foreign policy and reiterated Pakistan’s support for China on its core issues, a foreign office statement said. anniversary of independence on August 14, was in keeping with the long-standing traditions of the Pakistan-China all-weather strategic cooperative partnership. is the flagship project of the Belt and Road Initiative and early completion of projects would bring tangible benefits to the people of both countries.